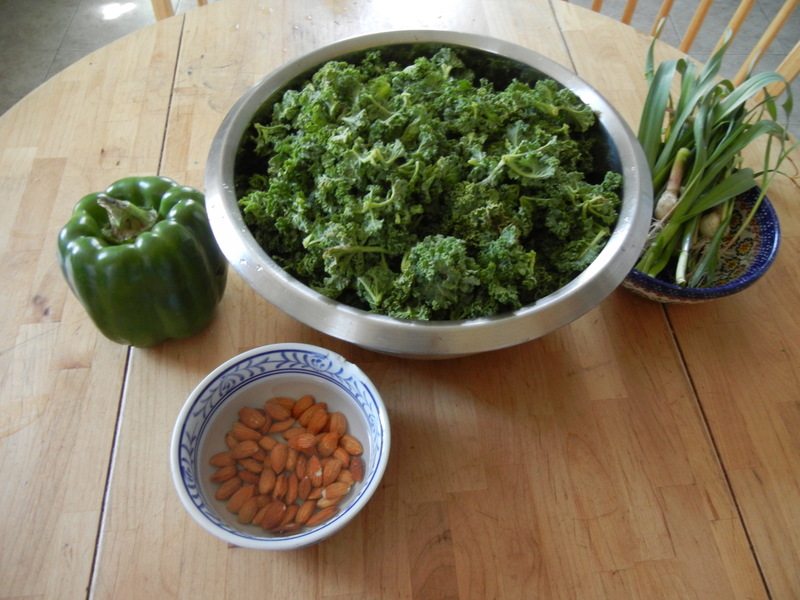 A surplus of overwintered and flowering kale means I have a surplus of delicious kale chips about to be made. I modified a recipe I found on the whole food’s website to use what I had on hand – my primary cooking strategy. Combine all of the ingredients, except the kale, in a food processor and blitz until a uniform paste. 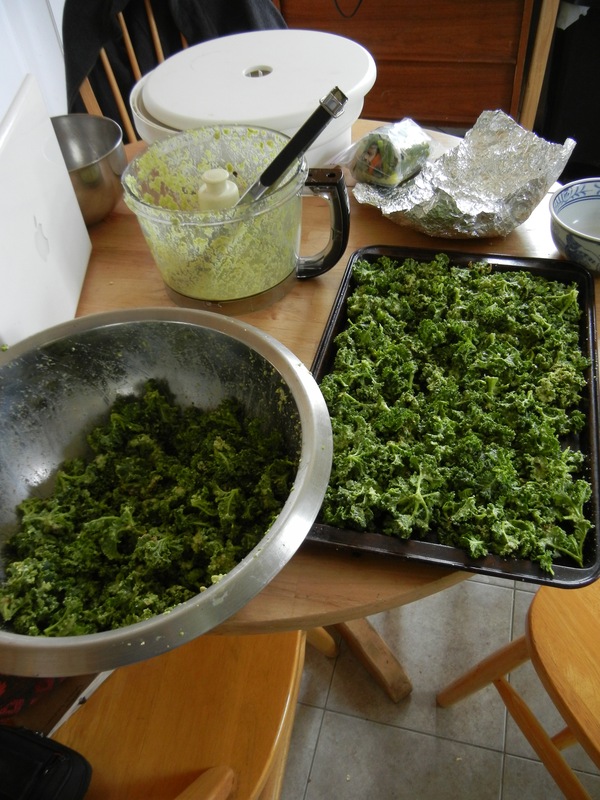 Toss the kale with the sauce and spread on a cookie sheet prepared with parchment paper. Bake at 250 F for about 3 hours, turning over half way through. 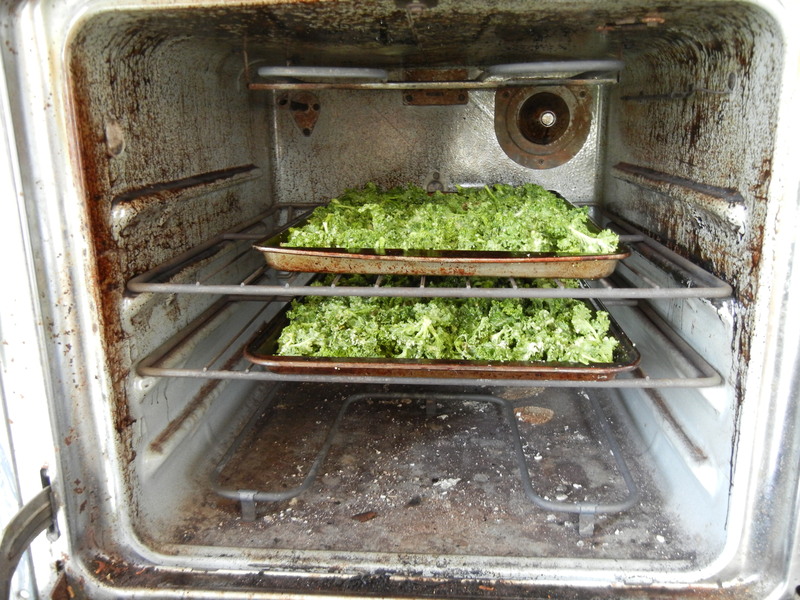 I became very impatient with the oven (which is also incredibly filthy) and wasn’t entirely satisfied with the texture so I switched over to my dehydrator and left it at 125F overnight and was very pleased with how the chips turned out. Crunchy, cheezy, and gone before I ever got a chance to take pictures. I will have to make way more chips if I plan on having this snack added to my winter-food stash. What’s your favorite way to prepare kale? 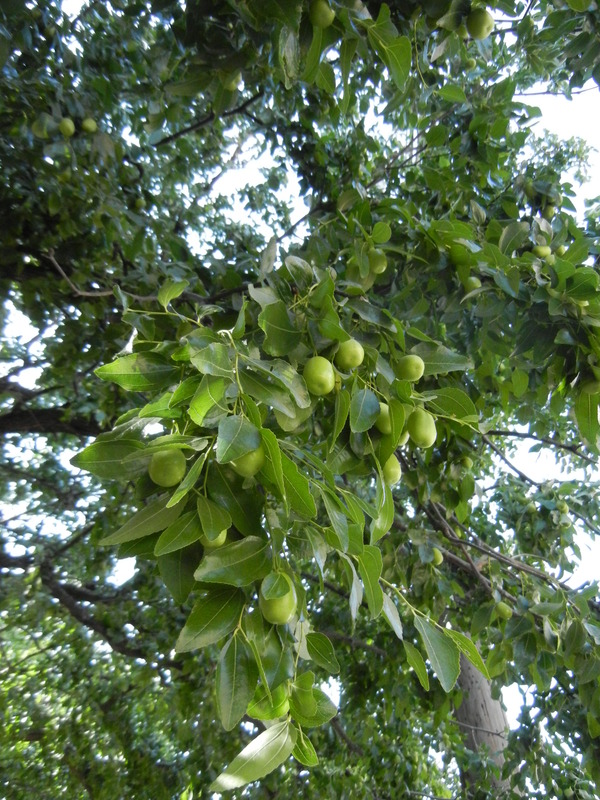 For the past 5 years I have walked under these trees and stepped over the squashed fruit all over the sidewalk. In my rush to get to class I’ve always just idly thought that they were dates squashed on the ground. Until earlier this week I wasn’t in a rush and was looking down thinking ‘oh, it’s date time again’, and stopped. Dates grown on palms. Duh. I’ve been walking under the branches of about 6 full grown olive trees without even realizing it for years. The trees are in the yard of a rental house whose harvest has been going to the bugs for years! I ran home and grabbed a bag and ran back (by the way, this is a 35 minute walk from my house, the running was a little unnecessary…) and stripped the branches as far as I could reach. 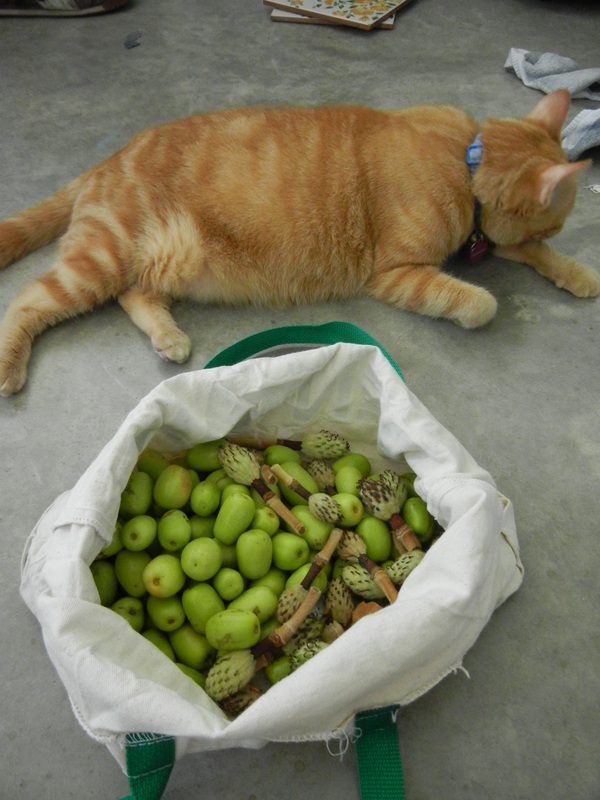 Those are magnolia buds that are in the bag with the olives, I’ve been collecting them for a project, they’re so unique and fantastic. The trees have been pruned to 8ft up for sidewalk regulations so I really wasn’t able to reach much. I’m in the process of contacting the owner for permission to be able to go into the backyard with a ladder for a real harvest. As it was, I was able to get a pretty good amount. I also want to try to start some of the seeds that I found on the ground – I love olive trees and am more than happy to nurture an olive tree for 10 years for it to produce fruit! 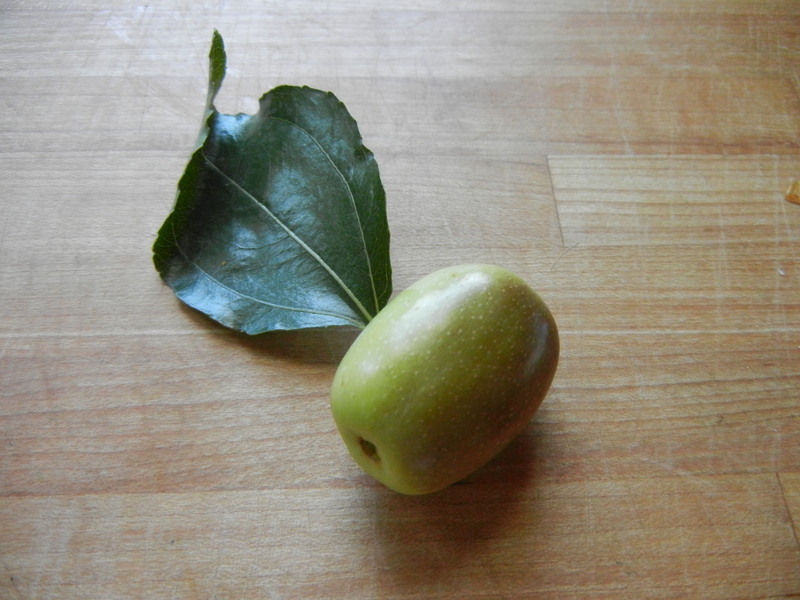 The beautiful brown blush on the side of the olive tells me that it is almost perfectly ripe. Most of the ones that I picked were bright green and are being processed for brining. 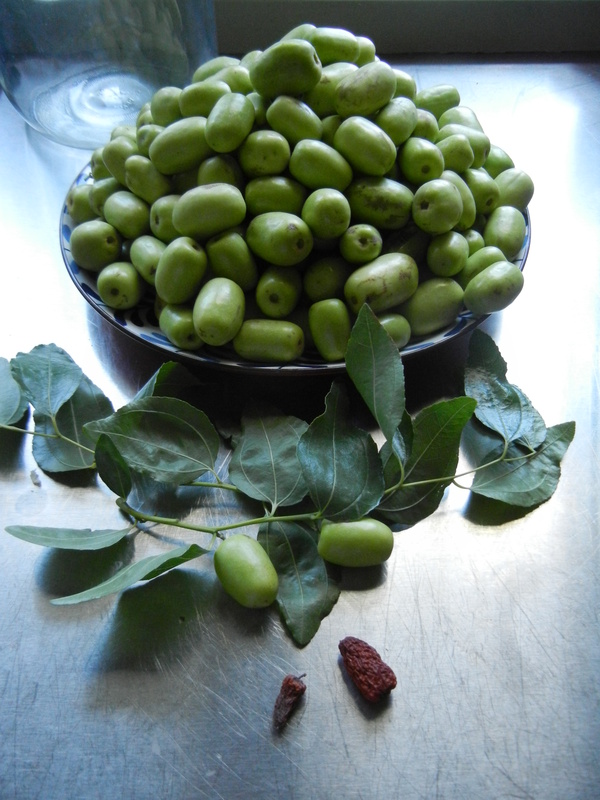 The next harvest will be divided into brined olives and an experiment with making our own olive oil. Right now I’m working on leaching this olive batch using traditional Greek methods. 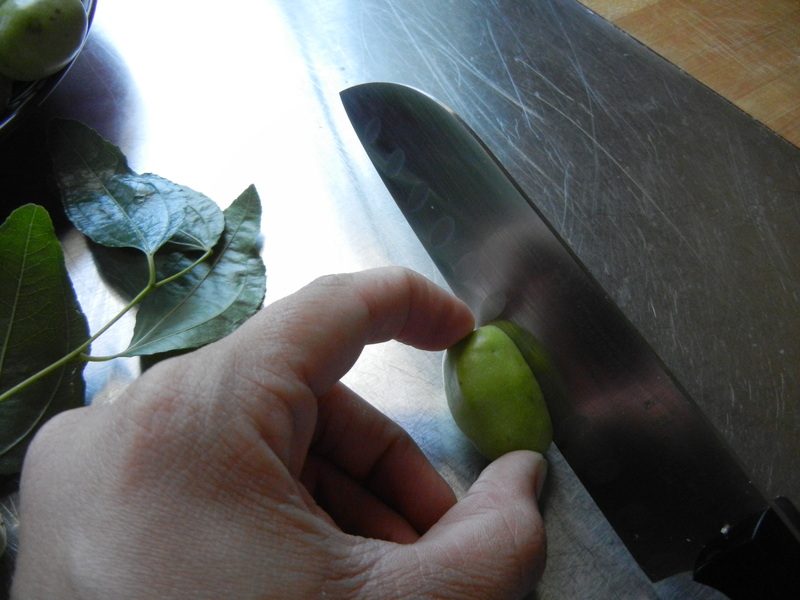 What I’ve been able to find instructs to score the green olives and immediately submerge them in clean water. Each day for at least two weeks change the water out. 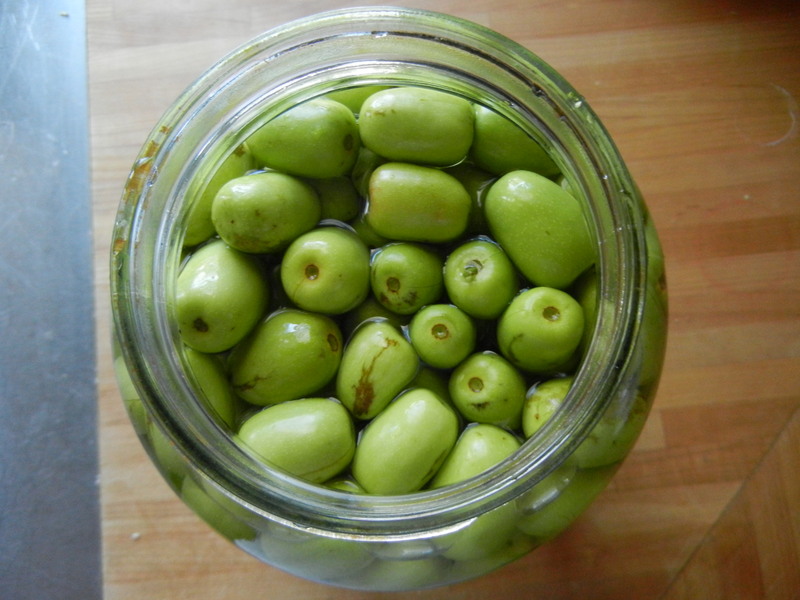 The leaching process cuts into the bitterness of the olives and prepares them for the brining process. In a month this jar will be ready for the brining step and I’ll be sure to post it on here. I haven’t decided what variations I’ll be doing. What’s your favorite olive flavor?